Neem karoli Baba Ashram, kainchi Dham Ashram, Kainchi dham 15 June, | Uttarakhand Travel Guide | Travel guide & Adventure guide in Nainital. Neem Karoli Maharaj was born in a Brahman family in Akbarpur, Uttar Pradesh. His father's name was Durga Prasad Sharma. It is believed that Neem Karoli Baba was born around 1900, and after his birth, he was named Laxmi Narayan. Neem Karoli Baba was married only at the age of 11 years. He later left his house, one day his father had seen him around the village named Neem Karoli. Baba was is Neem Karoli Village Khimspur, Farrukhabad. Later Baba started to be known by this name. It is believed that at the age of about 17 he had attained the complete wisdom and knowledge. Neem Karoli Baba had left his house in 1958. After the abdication, Baba had started behaving like a sadhu in northern India. In Vrindavan, local residents addressed Baba as Chattakari Baba. During his life, two big ashrams were built, first in the Vrindavan and second in the Kainchi (Kainchi dham), where Baba used to live during summer months. More than 100 temples were built in his name in that time. The Kainchi Dham's Ashram where Baba had lived in the last decade of his life was constructed in 1964. 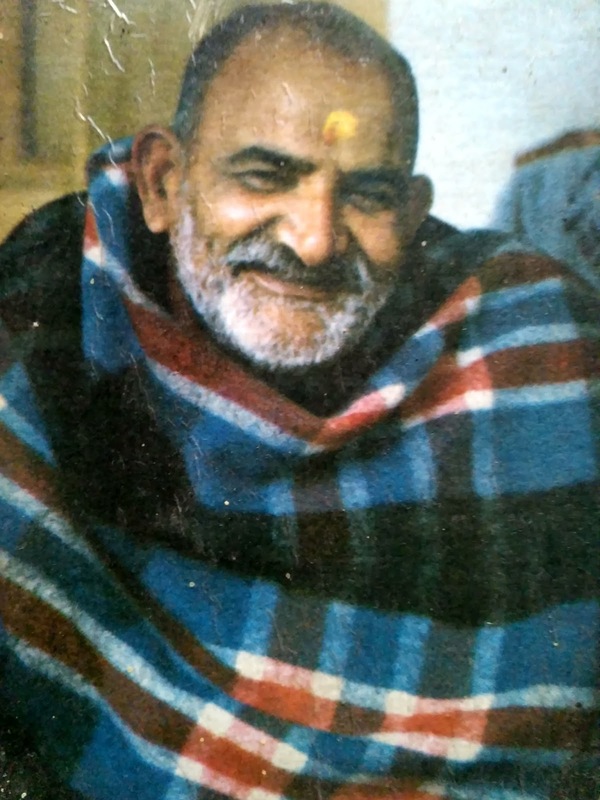 Neem Karoli Baba got international recognition in the 1960s. At that time, one of his American devotees Baba Ram Das wrote a book in which he was mentioned. After this, people from the West started coming to take their philosophy and blessings. Baba left his body on 11th September, 1973 and went to the conclusion of Lord Hanuman ji. It was believed that Baba was the source of inspiration for all of us, and in Kali Yuga he is known as the incarnation of Hanuman ji. The temple situated at 20 km from Nainital on Bhowali-Almora NH has now become an important pilgrimage for the people. On the 15th of June, when the Kaichi ashram fair is celebrated, there are millions of devotees in the temple and get Prasad. temple started without any plan and design. His devotees cooperated voluntarily. When the construction work was on, the devotees also recited Hanuman Chalisa and did Kirtan by singing (Shri Rama - Jai Rama - Jai Jai Rama). Now came 15th June 1976, the day for installation and consecration of Maharajji's murti. Maharajji Himself had fixed June 15th as the consecration/coronation of Kainchi dham. Since then, every year 15th june is celebrated as establishment of Kainchi Ashram among the devotees of Neem karoli Maharaj. Every year on 15th june lakhs of devotees visit Neem Karoli Baba's Ashram of Kainchi dham and get Prasad. The number of devotees and the associated vehicular traffic is so large that the district administration has to make special arrangement to regulate the same. Even SSB and additional police securities are called on 15 june in Kainchi Ashram. Accordingly some changes have been made in the whole complex so that people do not face any difficulty in movement. The weather around the Kainchi dham is pleasant throughout the year and gets even more pleasant during summer months, the ashram is situated at an altitude of 1300 metres above the sea level, because of that there is not much cold in this region. A very pleasant weather in most of the months, but one should ignore visiting this area during monsoonal months (July- Mid of September) because the area around the Kainchi Dham is prone to landslides and cloud bursts. There is a beautiful forest rest house situated near Kainchi Ashram at Bhowali. The rest house is Mahesh khan forest rest house. Staying at the Mahesh khan's forest rest house is a memorable experience in itself and the tranquility surrounding the rest houses add flavors to that memorable experience. Kainchi Dham is situated at 20 km from Nainital on Bhowali-Almora NH. If one is arriving with Train then Kathgodam railway station is the nearest railway station. The distance from Delhi to Kathgodam (Haldwani) is 292 kms and from Kathgodam (Haldwani) to Kainchi is 40 kms. It barely takes 5-6 hours to reach Nainital district from Delhi. P.S Couldn't provide more images of the Ashram as photography is strictly prohibited in the temple premises. Nice article, so much information about Neem Karoli Maharaj to gather in this page. Thank you very much for your gentle appreciation. Your appreciation and support are all I need.